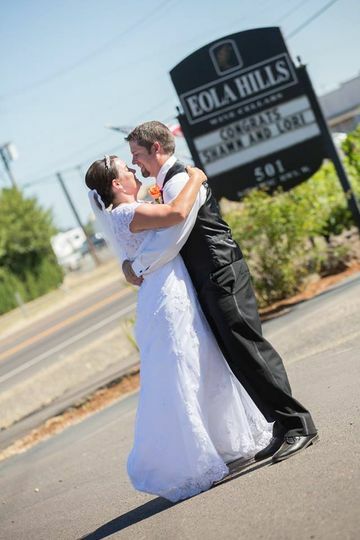 Eola Hills Wine Cellars is an elegant vineyard wedding venue located in Rickreall, Oregon. 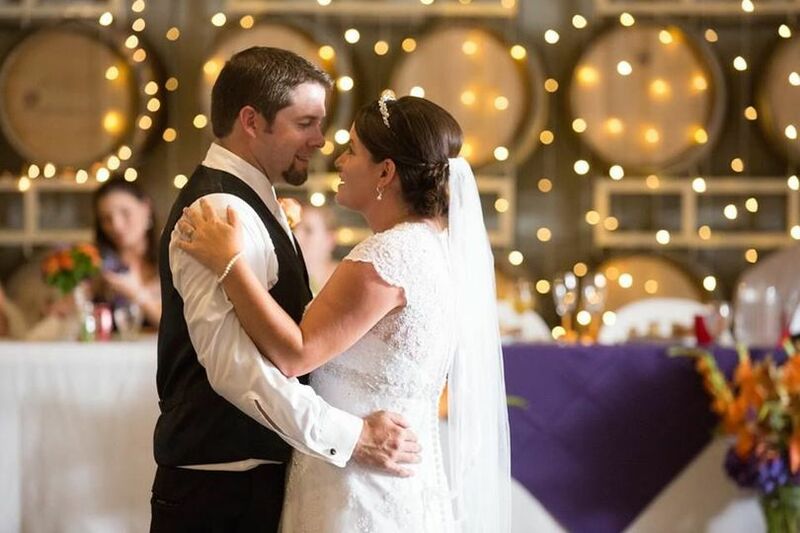 This unique location boasts gorgeous scenic views, two distinct venue spaces, an attentive staff, and impeccable wines. 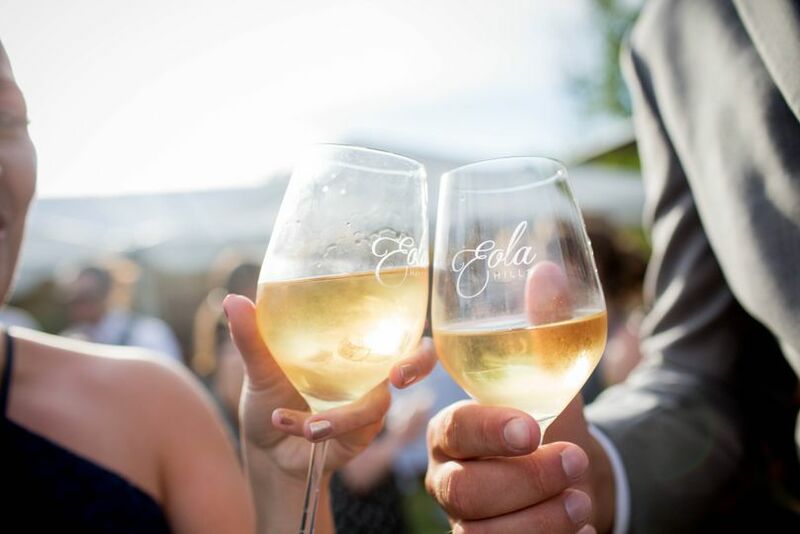 Eola Hills Wine Cellars’ experienced and talented team of coordinators ensures a couple’s wedding vision is fully executed and. 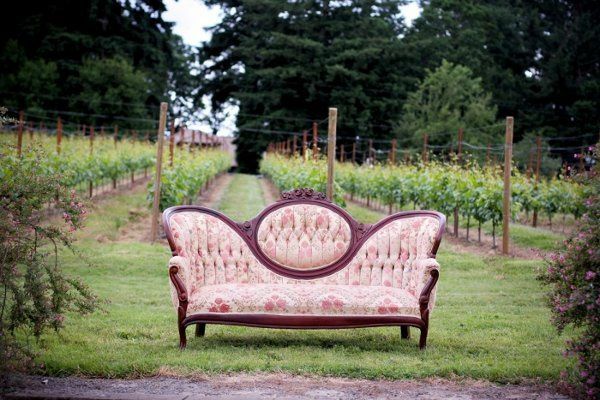 This vineyard is minutes away from downtown Salem, making it ideal for guests to explore the rich culture of the area. 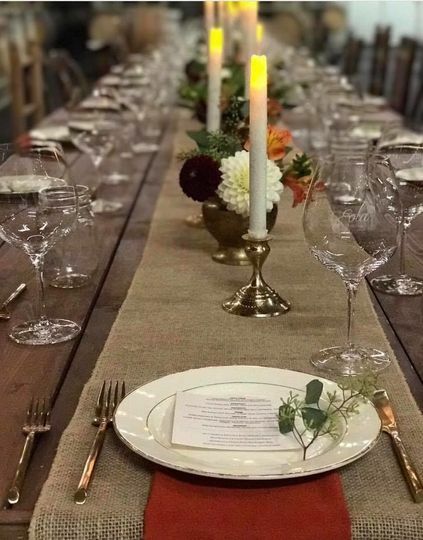 Whether you want an outdoor reception with stunning string lights or a luxurious indoor ceremony in the cellar room, their staff will assist with everything from decorations to vendor management. 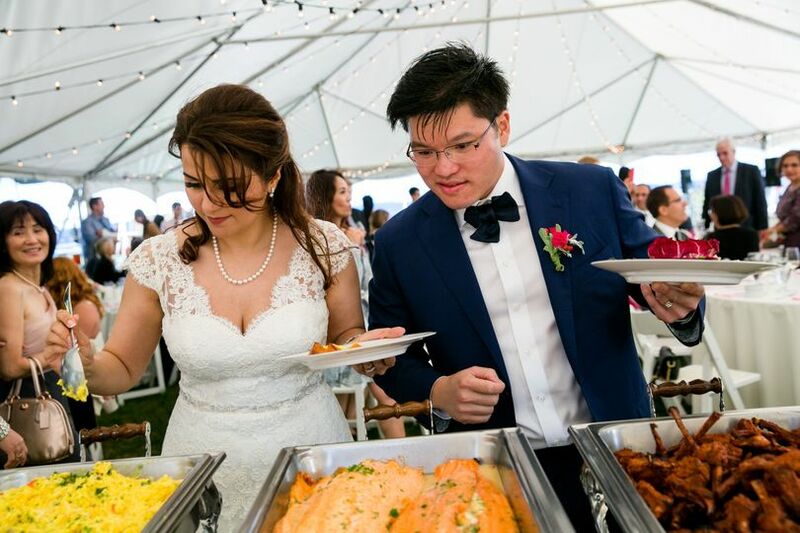 With a variety of different backgrounds for picture-perfect opportunities and a staff of seasoned planners, couples can feel confident in receiving a memorable wedding day. 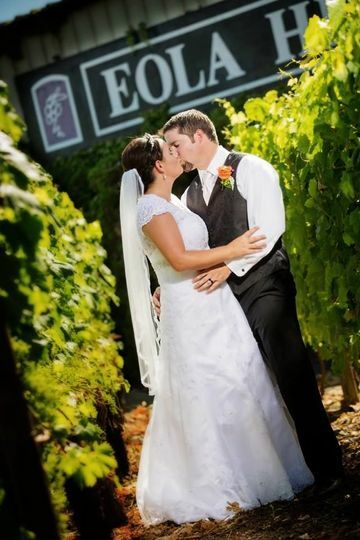 Eola Hills Wine Cellars can cater to wedding parties of all sizes. 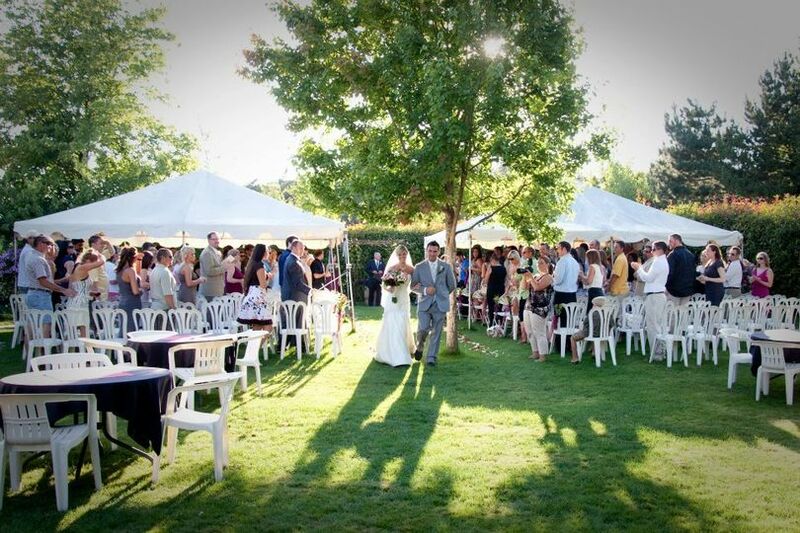 The venue can hold a maximum capacity of 200 wedding guests. Their two spaces include outdoor scenic views of the Willamette Valley and offer a spacious lawn near a spring-fed lake. 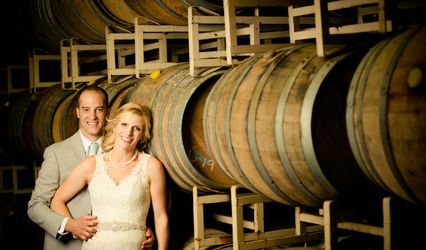 Their indoor barrel room boasts a more private and intimate feel and comes complete with a garden. They also offer couples get-ready rooms for preparation and relaxation. 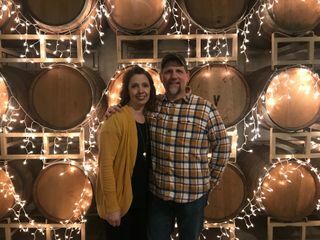 This wine cellar has been locally-owned and operated since 1986. The vineyard is one of Oregon’s largest wineries, with over 325 acres of prime vineyard land. 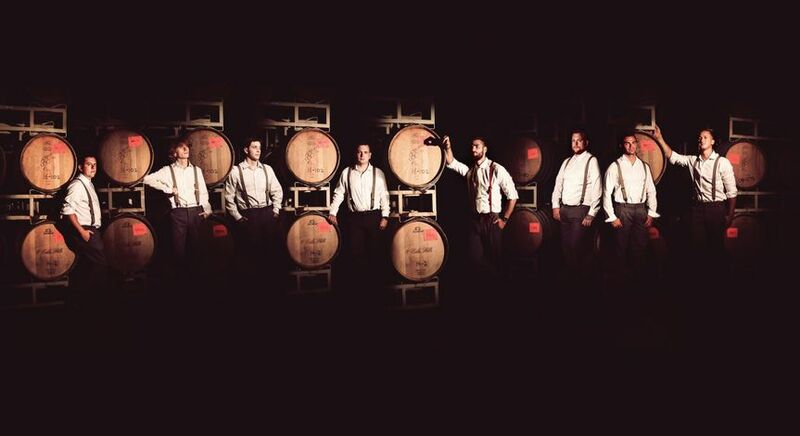 Over 80,000 cases of wine gets transported across the country and internationally to be enjoyed by wine lovers. We didn’t have a wedding, but this venue would be great for a reception! Cat was so helpful & easy to work with. All of our guests commented on what a great venue it was. WONDERFUL, EXCEPTIONAL, SO HELPFUL.....Eola hills is an AMAZING venue!!!! They are so upfront and do not want to rip anyone off. Honest, did not charge extra for anything even though their paperwork specifies charges for tv use, etc. Amazing place! Beautiful. Thank you so much for you review! It's great to hear that you had such wonderful experience with us at Eola Hills. 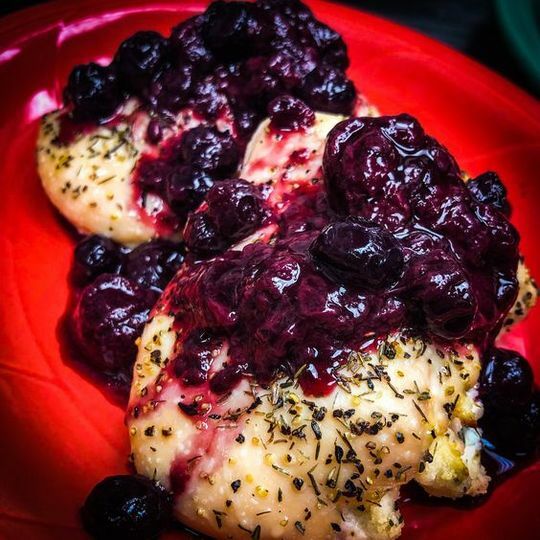 Hope to see you at the winery again soon. We had an absolutely horrific experience with Eola Hills at their Legacy Estate property in July. 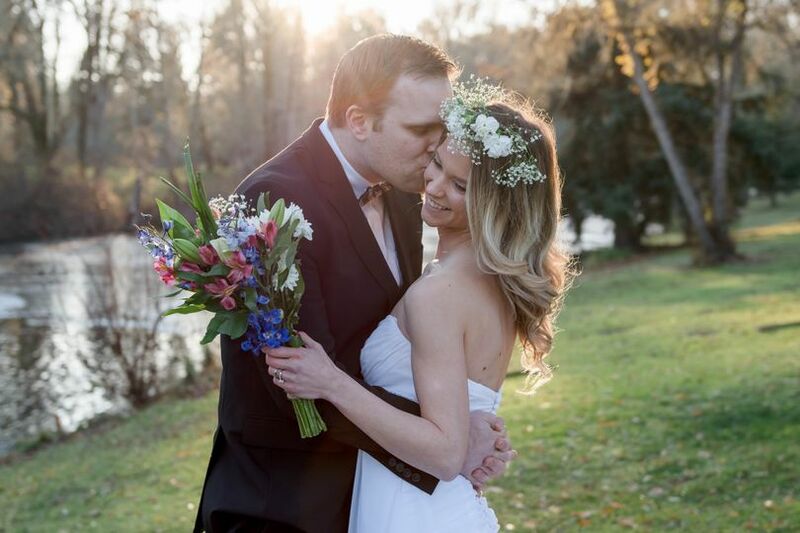 Just weeks before our wedding our Event Coordinator was suddenly fired (due to badmouthing Eola's President) and replaced with someone completely new to the wedding industry. 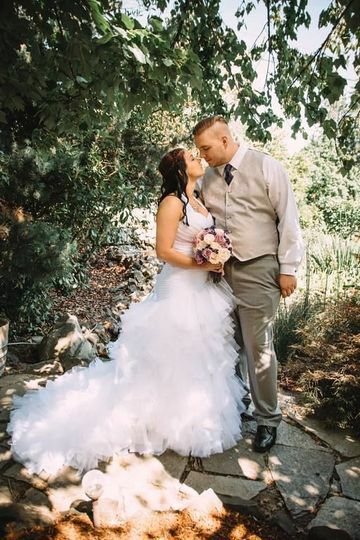 With a background in cosmetology, I believe, Rachel was so ill equipped to manage our big day; though a nice person, my emails were never responded to and when we spoke in person numerous false promises were made. 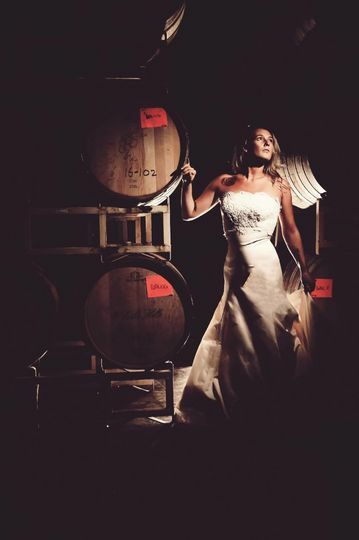 It was 95 degrees on our wedding day and there was no drinking water at the winery. Despite our wishes, our guests were then sat an HOUR before our ceremony, in the direct sun, again with no drinking water. On top of what could've been a very dangerous situation, our friends & family were asked (by the venue) to shuttle our guests to and from the ceremony site. It was completely embarrassing and something our guests still talk about 'til this day. My husband and I spent a majority of our reception apologizing to our guests for the staff's lack of professionalism & disorganization. At the end of the night a number of our guests- who had planned to camp on site, were abrasively told they were not allowed to drive to their campsite (less than a mile away); had we known this was the policy we could've informed our guests ahead of time & also been sure to provide our own drinking water, especially considering some of our guests were apparently over served. 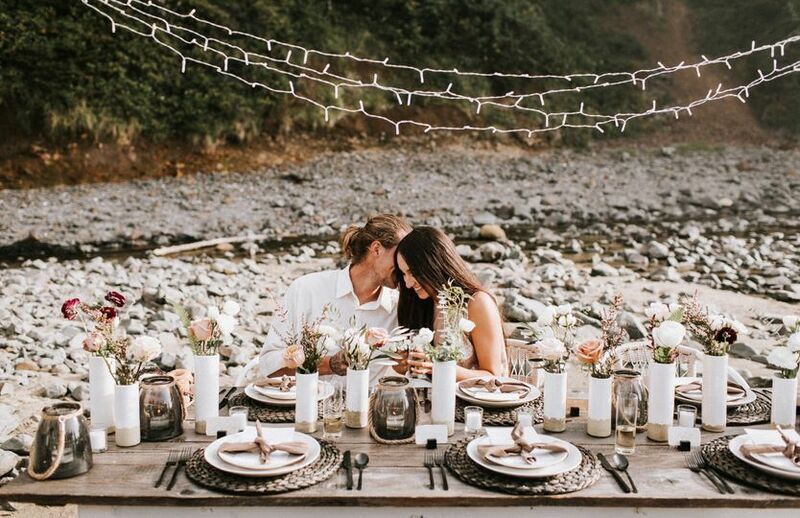 Weeks later the venue added glamping to their offerings based on the exact tents & setup we had at our wedding! The Event Coordinator even went so far as to ask our wedding singer to come back and do a summer concert! When I reached out to express my sincere disappointment, I was met with an apology and a $100 gift certificate. 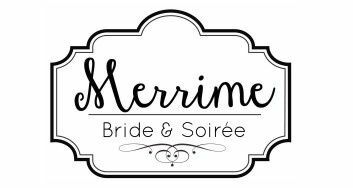 As a wedding vendor myself, I am appalled by the entire experience. When I spoke with other Event Coordinator in the industry they too were horrified and said we should've been offered a full refund. DO NOT GO HERE! This venue is absolutely stunning. They are easy to work with and accommodating to your needs. This was actually my first choice for a wedding venue for my own wedding. They are simply wonderful.Stephanie is amazing at what she does and is just a joy to work with!  I highly recommend Eola Hills for your wedding venue!